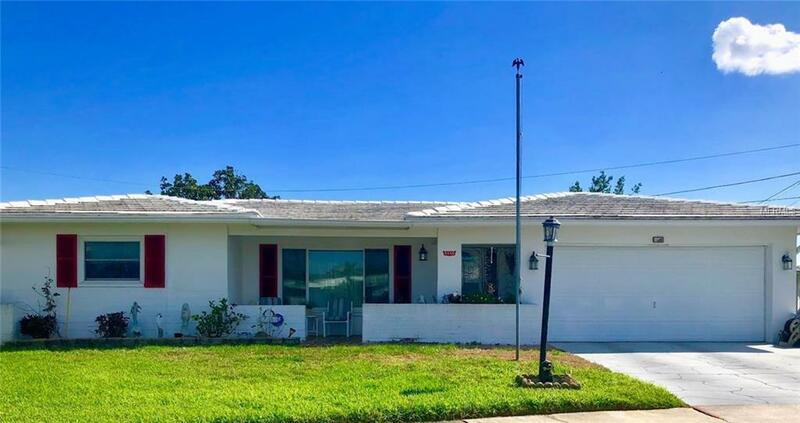 This gorgeous 2 bedroom, 2 bathroom, 2 car garage home in The Mainlands of Tamarac by the Gulf is ready for you to move in. There is a bonus room that could be used as an office or a guest room. The formal living and dining room space, breakfast area in the kitchen, jumbo sized Florida Room make this home the perfect entertaining spot. The home has a beautifully remodeled master bath. The kitchen has been updated with new wood cabinets, new quartz counter tops, and appliances. Hurricane windows throughout the home. A/C installed 2014. Newer water heater. The Mainlands is a 55+ Friendly Golf Community. The $326 monthly maintenance fee includes: lawn maintenance, irrigation system, basic cable, roof and soffits (repair & replacement), building exterior, community pool, clubhouse and water/sewer and trash pick up. This maintenance free updated home is waiting for you.Room sizes are approximate, buyer advised to verify. Pet Restrictions Only 2 Pets Allowed.